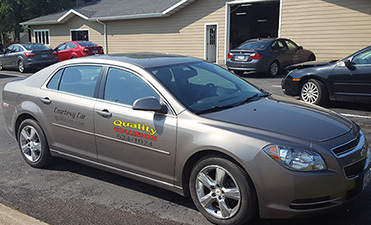 Technical auto body and repair work at Quality Collision is top-notch. 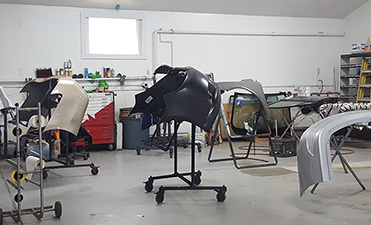 Each technician is hand selected to formulate the best staff with the highest skills available in the area for auto body and auto collision repair. Our auto body technicians are I-Car trained in auto body repair. We are a Green shop, from our lighting to our filtering systems to our paint and paint booth, we exercise environmental conscientiousness and safety. Quality Collision guarantees excellence in auto repair and auto body work on your vehicle every time. 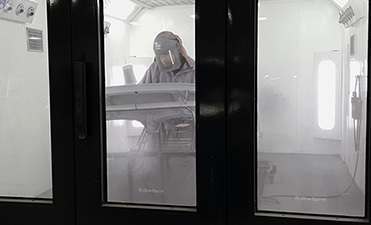 Our technicians have over 25 years of collision repair, mechanical, auto paint, and body work experience, which is a leading factor to our success. Our technical work is top-notch and timely. Inspections are performed thoroughly before your vehicle leaves the shop. 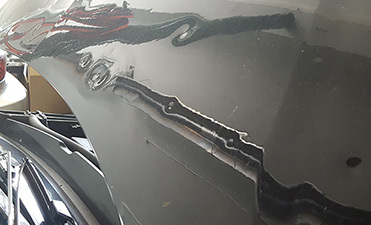 When your vehicle has been a victim of hail damage or excessive dings and dents from a variety of situations, most often Paintless Dent Repair is the most effective and inexpensive way to get its condition back to its normal state. Firstly, we assess the damage and work with you and your insurance carrier. Next, we meticulously repair the vehicle with the use of special tools and skillful technicians carefully massaging the exterior back to its original state. When you call us for your collision repair, ask about towing and loaner cars. We will set up towing for your vehicle so you can avoid that hassle. You can also call directly to USA Towing at 218-729-5252 or North Country Towing at 218-729-8875. Payments are arranged directly with us for your towing. Our goal is to assist in your transportation during the time your vehicle is in the repair process. We have loaner cars, or may seek one for you. We talk directly with your insurance carrier to get the information needed to help you with your loaner car transportation and setup. During a time when you need us most, at Quality Collision we strive for your convenience. 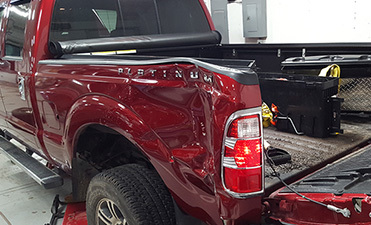 Collision repair is an inconvenience and often stressful. Just know you can count on us to help get you through the process while we get you back into your vehicle as quickly as possible. Simply inquire with us with what is needed to get your vehicle to our shop for estimating and repairs, and to have your loaner car ready for you. If you need a pick-up or delivery, let us know and we’ll do our best to accommodate. 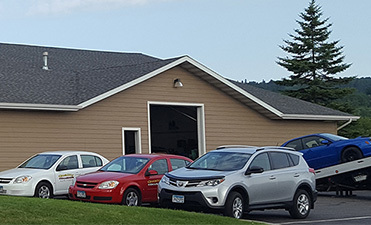 When you need collision repair simply contact us through our SERVICE REQUEST form directly from our website, or simply give us a call or walk in during our normal business hours. You are always invited and will be taken care of timely and to the very best of our abilities. Our appraisal and estimation experts work directly with your insurance carrier so you can rest assured and feel at ease during your repair experience. Quality Collision is a Certified Repair Shop for most all insurance carriers.